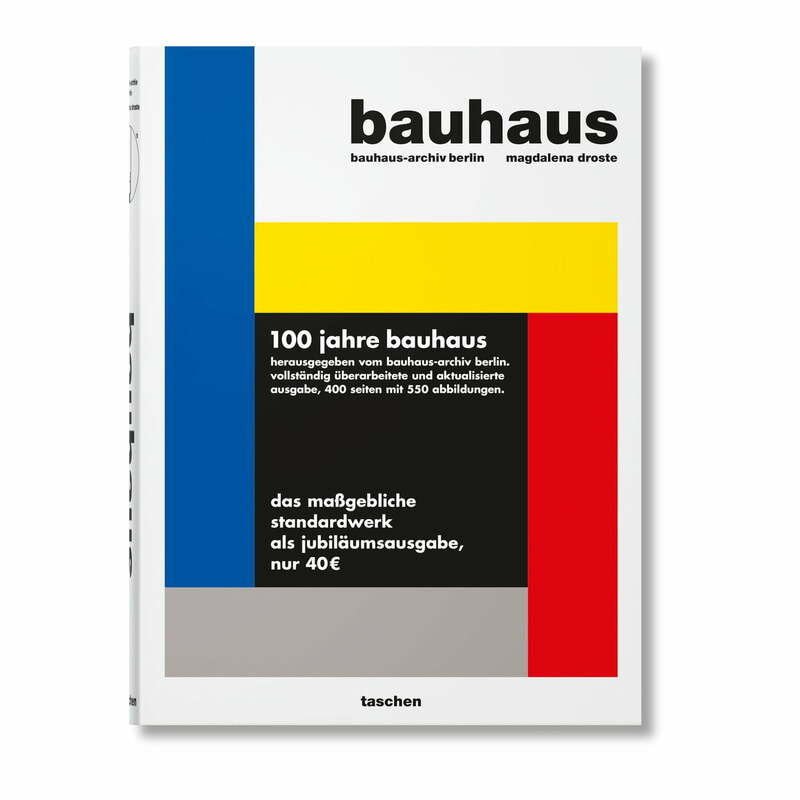 The book Bauhaus in the updated edition by Magdalena Droste for TASCHEN Verlag celebrates 100 years of Bauhaus with hardcover on 400 pages and many colour illustrations. The Bauhaus existed only between 1919 and 1933 and yet became the most important and influential school of architecture, design and art in the 20. Century. This volume uses a wealth of documents from the Bauhaus Archive in Berlin to document why. Among the artists presented are Josef Albers, Marianne Brandt, Walter Gropius, Gertrud Grunow, Paul Klee, Ludwig Mies van der Rohe and Lilly Reich. In a short period of only fourteen years between the two world wars, the German Bauhaus School of Art and Design changed the face of modernism. With utopian ideals for the future, she developed a groundbreaking fusion of art, craftsmanship and technology that she implemented across all creative media and methods, from film to theatre, from sculpture to pottery. 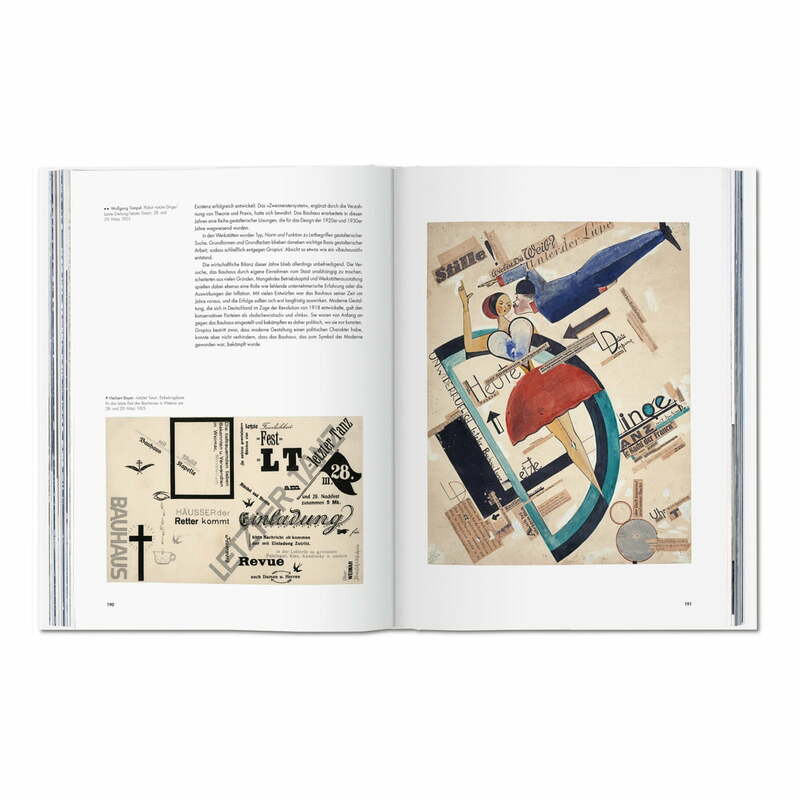 This book was produced in collaboration with the Bauhaus Archive/Museum für Gestaltung in Berlin, the world's largest collection on the history of the Bauhaus. Writings, studies, photographs, sketches, plans and models not only document the works realized, they also bring the spirit of Bauhaus back to life. From casual group gymnastics shots to drawings from Paul Klee's lessons, from detailed building plans to a sleek ashtray by Marianne Brandt - they are all testimonies to an idealistic creative community determined to rethink design and shape a better future for modern people. 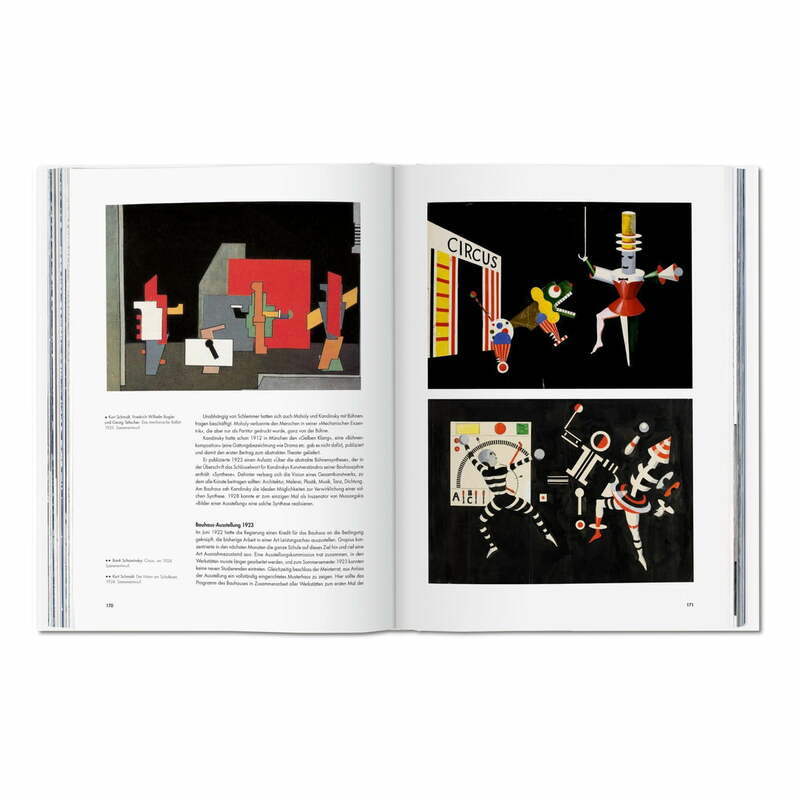 The book shows Bauhaus not only as a pioneering movement of modernism, but also as a prime example of art education in which creative expression and forward-looking ideas led to products that were both beautiful and functional. Among the artists presented are Josef Albers, Marianne Brandt, Walter Gropius, Gertrud Grunow, Paul Klee, Ludwig Mies van der Rohe and Lilly Reich. Magdalena Droste studied art history and literature in Aachen and Marburg. From 1980 she worked at the Bauhaus Archive in Berlin, after which she worked as a professor of art history at the BTU Cottbus. She has been responsible for numerous exhibitions and publications on all Bauhaus themes and artists. Fourteen years that changed the world: the Bauhaus existed only between 1919 and 1933 and yet became the most important and influential school of architecture, design and art in the 20. Century. This volume uses a wealth of documents from the Bauhaus Archive in Berlin to document why. Bauhaus. 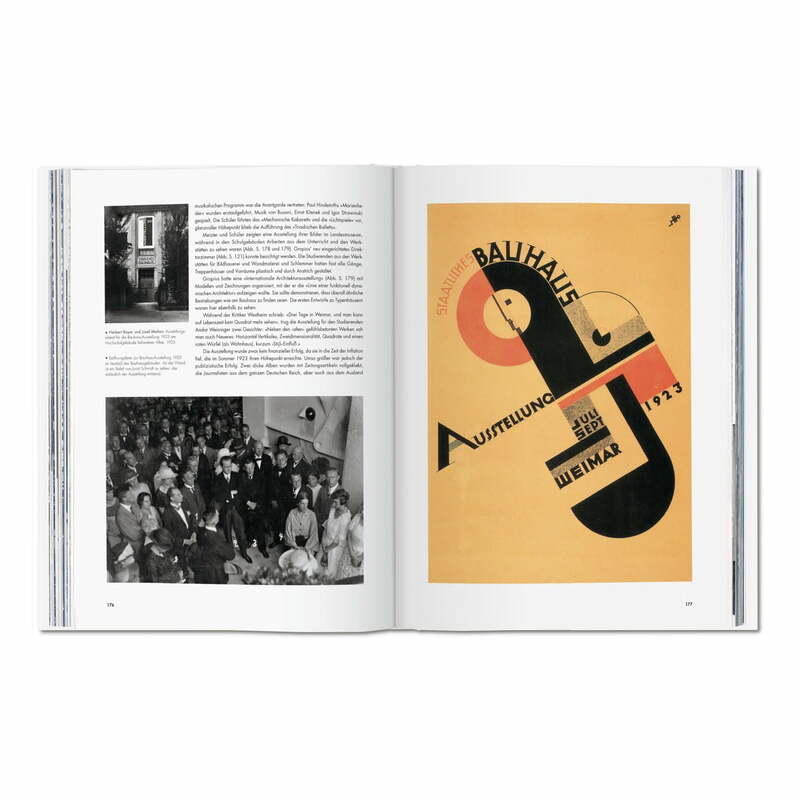 An updated edition by TASCHEN Verlag was produced in collaboration with the Bauhaus Archive/Museum für Gestaltung in Berlin, the world's largest collection on the history of the Bauhaus. 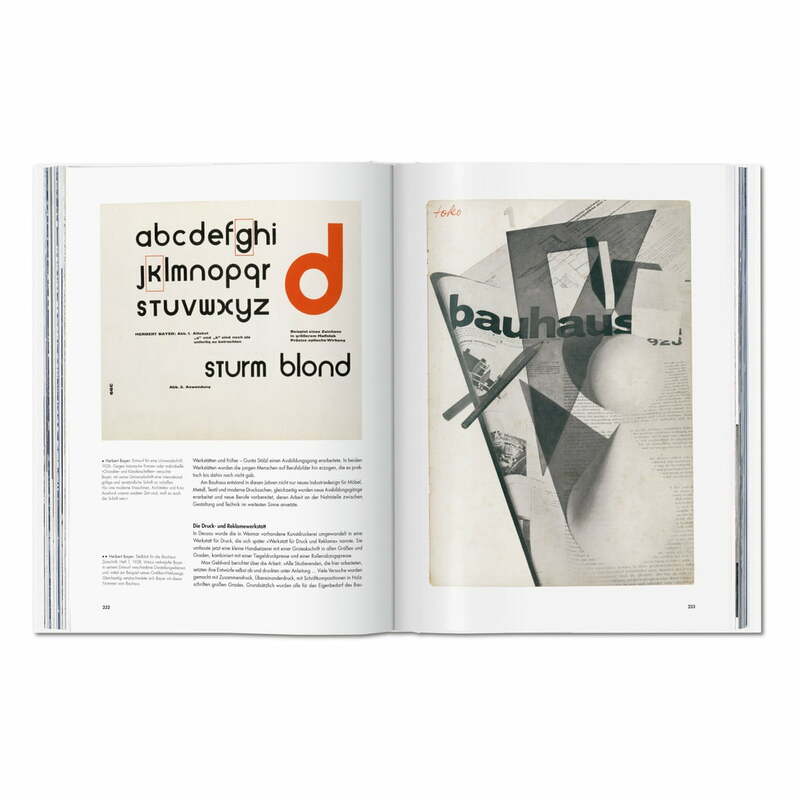 The book shows Bauhaus not only as a pioneering movement of modernism, but also as a prime example of art education in which creative expression and forward-looking ideas led to products that were both beautiful and functional.